I’m up again late tonight to bring a few more items out for the charity event at La Ville Macabre, running October 15th to November 1st in InWorldz. 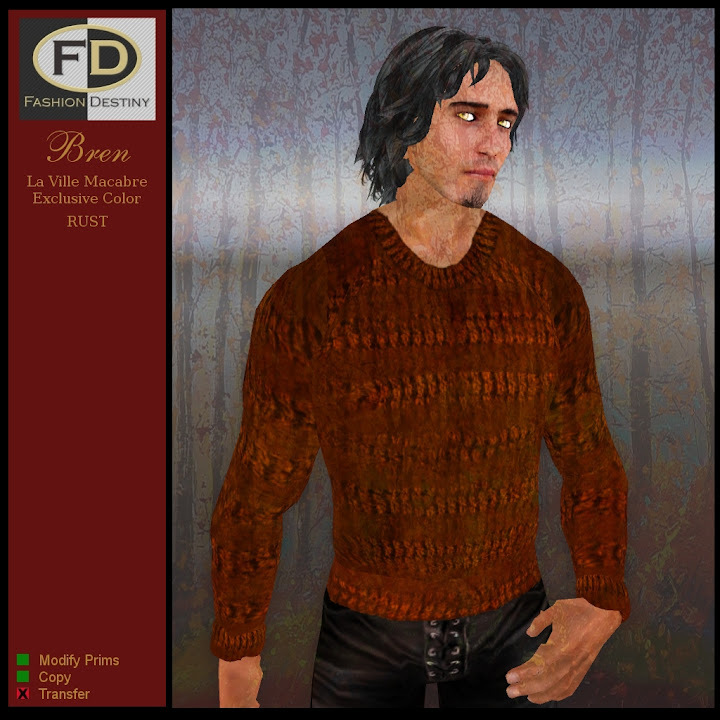 Here are the Bren sweater for Men and the Brew sweater for Ladies… in an exclusive recolor only to be found at this event! Once the event is over, they’re GONE so grab them now while you can. 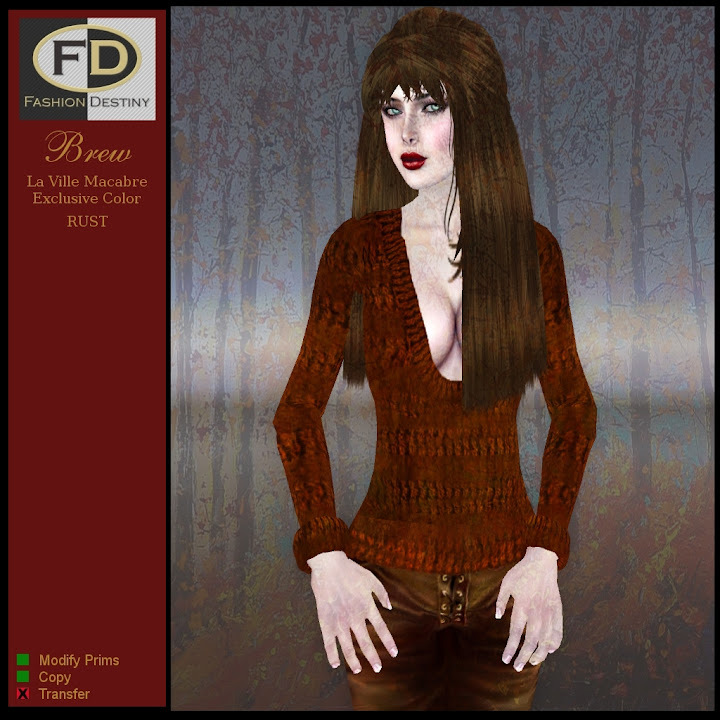 Visit the Chrysallis sim in InWorldz to find them and cozy up to a new sweater this fall! 100% proceeds benefit the Virtual Helping Hands charity. Visit Leanna Caerndow’s site for more info about this event.